Skye Gravestones | Catherine (Fletcher) & Alick Macdonald. Catherine (Fletcher) & Alick Macdonald. 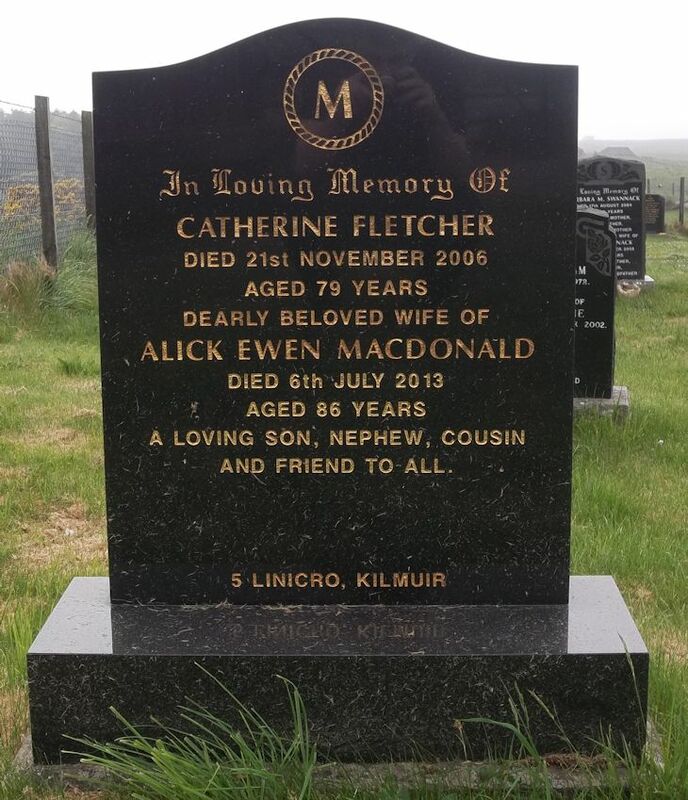 In loving memory of/CATHERINE FLETCHER/died 21st November 2006/aged 79 years/dearly loved wife of/ALICK EWEN MACDONALD/died 6th July 2013/aged 86 years/a loving son, nephew, cousin/and friend to all.